Hey Lisa, I was up until 2:00am trying to fix the exact same problem you have. I still haven't figured it out either. I have also tried everything you have done. Did you recently have a virus that you got rid of? I did and had to go into safe mode just to get to the control panel and then system restore. I am almost 100 percent sure this is the cause of having no sound. On another note, I do have sound on Mozilla Firefox. As for the responder, Donna, to your post, the sound is video sound or game sounds, anything that is being streamed. All other sounds on the computer work. THIS IS ONLY HAPPENING ON IE8. I don't know if it is related, but when I use Yahoo, Google, or Bing search engines I get rerouted to stupid irrelevant sites. Any help on this would be helpful too. Lisa's issue may be the same, but we can't be for sure till we get a response back from her. Your input may have helped enormously if her sound issues are similar. I had your post moved here to our Spyware Help Forum. In your case, I would most definitely follow the instructions below to make sure your are free and clear of infection. Please click on Before posting read this first! then click on the link to learn How to Start Removing Viruses and Spyware from your Computer that you'll find in that post I linked you to. Please post the logs requested (do not attach them) here in this thread we created just for you and our expert will be with you momentarily. We have been quite busy and one of our experts is away at this time so your patience will be appreciated. No sound when streaming or playing games on IE8. Works fine in Firefox. Hey Donna and others, Thanks for the tips, unfortunately nothing is working. I've done system restore, deleted IE8 and reinstalled, went to internet options, then to advanced and play sounds for webpages is checked, deleted Adobe flash player and reinstalled. Ran your program for spyware and cleaned it. This alone ran for over 3 hours. Definitely helped the computer work better, but still no sound. Unfortunately, I don't have that particular log, but here are the other two. On a side note that may be connected, in IE8 when I run a search engine, specifically yahoo, google and bing, once the search is done, everything pops up properly, but when I click on the heading of each paragraph to go to that particular site, it reroutes me to some other site that has no correlation. 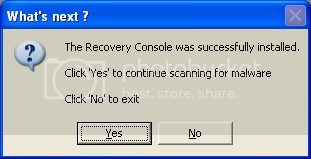 I have recently had several viruses over the last month and I was able to complete a system restore. The last virus, I had to go into safe mode just to get to system restore thru the control panel. In Firefox I can see some videos and all the sounds, but I can't go to full screen, just a blank white page. I have to push Escape to get back. In IE8, I have video and can play games fine, but once again I have no sound. Thanks in advance for all your expertise and help. If you guys can pull this off, I will definitely be sending in a donation. I really love your site and what you are doing. Here is my other logs. GOOD LUCK!! I can't copy Reimage's diagnosis over. I am getting ready to leave right now and will respond later or first thing in the morning. R1 - HKCU\Software\Microsoft\Internet Explorer\Main,Default_Page_URL = Yahoo! If you are unable to run a Gmer scan due the fact you are running a64bit machine please run the following tool and post its log. Please reply back telling us so. If you don't reply within 2-3 days the topic will need to be closed. Hello Fireman4it, Yes I am still here. I am gone from the computer for up to a week at a time. I still have no sound on IE8. I am running Windows XP with 32 bits. I'm sure I have the same problem as Lisa from the beginning of the post. I have exhausted all my limited capabilities to try and fix this. My sound works fine in Firefox. The one thing I do find in common between the internet servers is when using the search engines, such as Yahoo, Google or Bing, I can type in what I'm looking for and the search works successfully. When I click on the heading to go there, I get redirected to incorrect websites such as Search for Answers and other pages. Please help, I'm sure I'm not the only one with these problems. This all happened after I got rid of a really smart virus. Here are the programs you told me to run. I hope copying and pasting was ok.
uWindow Title = Windows Internet Explorer provided by Yahoo! uRun: [CTSyncU.exe] "c:\program files\creative\sync manager unicode\CTSyncU.exe"
uRun: [Creative Live! Cam Manager] "c:\program files\creative\creative live! cam\live! cam manager\CTLCMgr.exe"
C: is FIXED (NTFS) - 37 GiB total, 16.89 GiB free. 7/7/2011 2:17:55 PM, error: Disk  - The driver detected a controller error on \Device\Harddisk0\D. 7/6/2011 12:01:00 AM, error: System Error  - Error code 10000050, parameter1 ff725000, parameter2 00000000, parameter3 804f3ccb, parameter4 00000000. 7/12/2011 10:24:20 PM, error: System Error  - Error code 10000050, parameter1 ff8bc000, parameter2 00000000, parameter3 804f3ccb, parameter4 00000000. How is your machine running now? Still having re-directs? 2011/07/13 13:40:11.0765 1016	Backup copy found, using it.. Here is the next log from combo fix. After the scanning it wanted to delete a few things. I deleted a couple, but it wanted to delete this one; c:\documents and settings\Bobby\WINDOWS . . . . Failed to delete, I did not delete it because I am afraid it is the actual windows XP. Should I delete c:\documents and settings\Bobby\WINDOWS ?